Chatsworth, CA - On August 26th, thousands of people flocked to the beautiful ground of Chatsworth High School here in the San Fernando Valley to celebrate India’s 71st Independence Day. 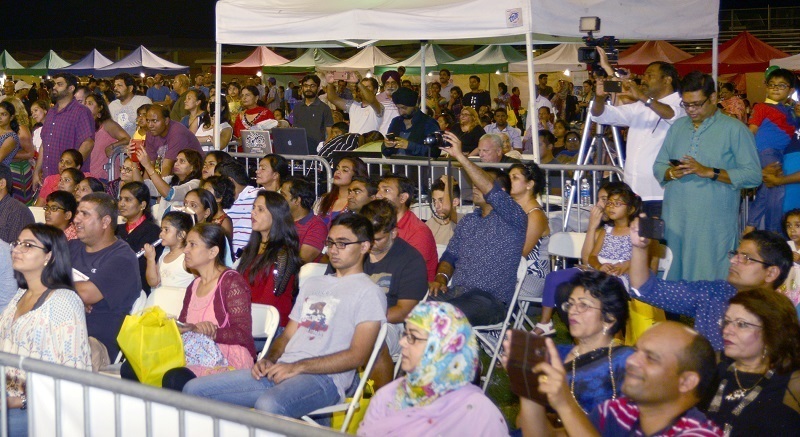 The grand event, which has been organized by the India Association of Los Angeles (IALA) since 1999, attended by Congressman Sherman, Deputy Consulate General of India Rohit Rathish, Councilman Mitch Englander representative from Assemblyman Matt Dababneh's office, Captain Kathleen Burns, many community leaders and thousands of people. Ceremony started with national Anthems of the USA and India. Gregory Martayan, Chief Deputy of Public Safety for Council District office presented Certificate of Recognition to IALA president Vineet Puri and praised hard work put up by IALA team to organize such a wonderful celebration.One of the IALA's founder Inder Singh in his address welcomed the audience and touched upon the subject of growing friendship between the two great democracies of the world. IALA President Puri said in his address “India’s Independence Day Celebration is a showcase of the Real India as different regions and states presenting their rich Culture, Traditions and Heritage". 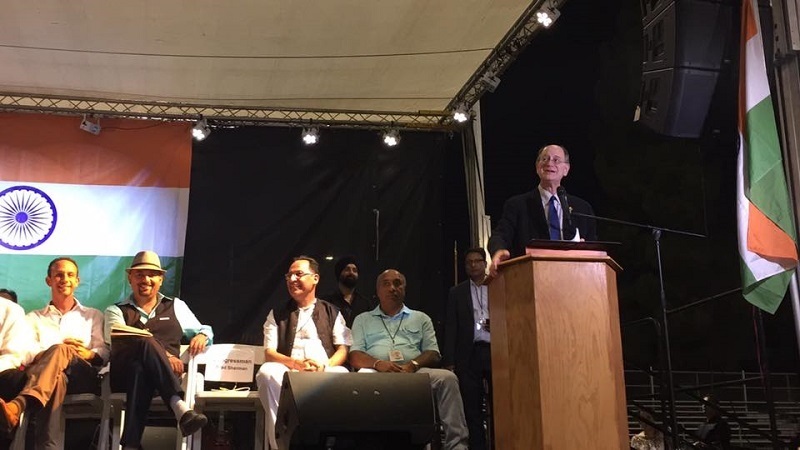 The Guest of honor Congressman Sherman presented US flag, which was hoisted on Capitol Hall to IALA president Vineet Puri and praised Indian Community's contributions in his address. He emphasized that India is the most important strategic and geopolitical partner for the United States and he is proud to work towards strengthening this relationship. Executive VP, Sunil Agrawal said "This event offers a family gathering where next generation of Indians learn, see, express, and feel their culture and tradition". Board of director Raman Chadha and Executive VP Sunil Agrawal emceed plaque ceremony to honor this year's sponsors. Congressman Sherman presented plaque to grand sponsor of the event Emirates Airlines, which was received by Mr. Akabar Hussain on Emirates Airlines behalf. Congressman Sherman also presented plaques to other notable sponsors Iqbal Samra, Ravi Grewal, Vinod Manchhani, Ranjit Joea, Mukhtiar Khamboj, Dr Harsimran Chadha, Manmohan Chopra, Jagdish Khangura, Dr Jaswant Dhillon, Gurprit Bindra, Manjit Pandher, Palu Lobana, Shamser Sidhu, Wallis State Bank, and Media partner TV Asia. 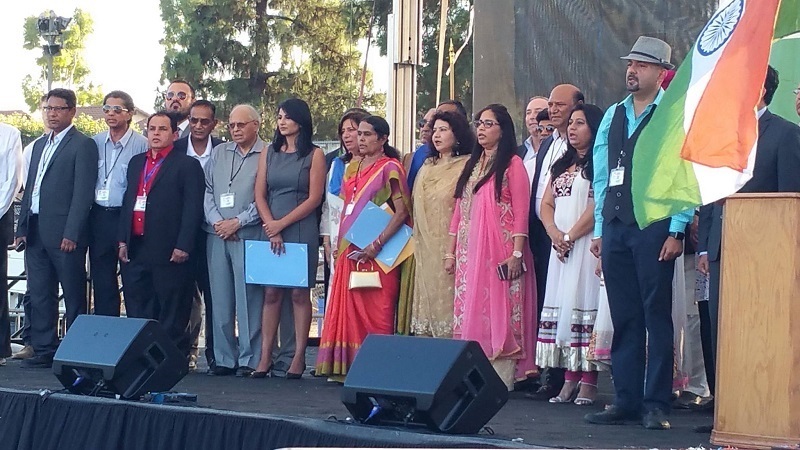 The event featured a grand cultural show presented by VP cultural Kavita Puri and her team. Indian songs, dance and other form of Indian arts by little ones, grownups and talented artists mesmerized the audience. Kathak dances, Bharathnatyam, Folk dances, Yoga-chaap, and many Bollywood numbers by various groups stole the heart of the audience by powerful performances. There were 65 booths with lots of variety consisting of fashion, food, Non-profits etc, put up by Manmohan Chopra, Board Member and his team, attracted thousands of visitors where they shopped, eat and enjoyed colorful fair. Amazing sound and light effects were created by famous DJ Scorpio - Sanjay Syal. Event's major attraction free health fair put up by VP health Deepi Singh and Dr. Bama Sridhar, visited by thousands of valley resident to check up their health parameters and take guidance on their diet and nutrition. Free eye check for Lion's club was another feature of the Fair. On this occasion of celebration, LA District Attorney Jackie Lacy sent their congratulatory messages to IALA, which was published in IALA’s annual booklet edited by Sunil Agrawal. Concluding the event, in his vote of thanks, IALA president Puri thanked all the dignitaries for their valuable time, sponsors for their support and contribution, and IALA executive team, Board of directors and volunteers for their hard work for making event memorable and successful. Event was a great success and will be remembered by many. The IALA 2016 Executive Committee is comprised of 17 members: Vineet Puri, Sunil Agrawal, Nina Bawa, Ramesh Bramharouthu, Ouseph Poulose, Harbans Bawa, Navdeep Singh, Kavita Puri, Nalini Natrajan, Manjeet Wahi, Sunil Prabhakar, Robin Paik, Raj Thakkar, Kanaksinh Zala, Aishveryaa Nidhi, Deepi Singh and Dr Bama Sridhar.